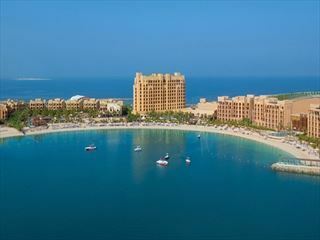 Why visit Ras Al Khaimah? 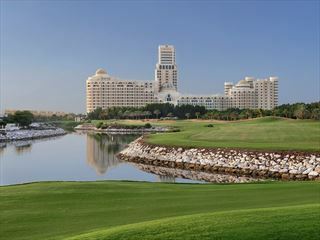 Inspired by the palaces of the Arabian Peninsula, this lavish hotel offers an opulent getaway featuing its own golf course, a stunning pool area, powdery golden sands and a great choice of international restaurants along the emirate's coast. 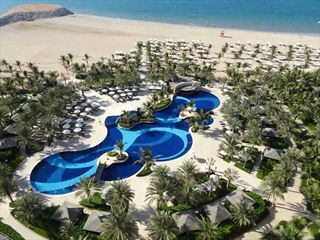 The Ritz-Carlton, Ras Al Khaimah, Al Wadi Desert is a breath-taking, luxury resort located on its own secluded archipelago in the vibrant city of Ras Al Khaimah. With 32 Middle Eastern inspired tented villas nestled on the private beach and an indulgent, award-winning spa, this is the perfect resort for a glamorous getaway for two. Miles of sandy beach, soothing hot springs, rugged mountain ranges and sweeping terracotta desert plains…Ras Al Khaimah’s diverse landscapes make this Emirate a truly enticing destination. 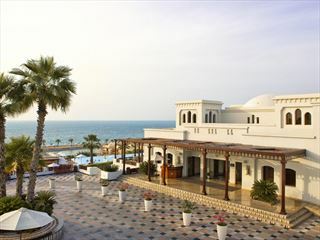 Standing out from its neighbouring emirates as a hub of natural beauty, Ras Al Khaimah is fast becoming one of the most popular emirates to visit. This is a favoured location for outdoor adventurers. 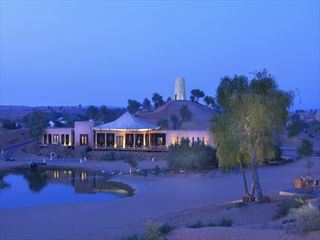 Whether you fancy hiking in the Hajar Mountains, fishing along the Arabian Gulf, getting some zen with a sunset yoga class, or playing a round of golf, RAK offers the best backdrop to an adventurous getaway. It’s not just outdoor activities and lavish hotels here – there’s plenty of incredible culture and history too. Immerse yourself in the Emirate’s past with a trip to the ancient archaeological sites, or stroll through the locals’ streets in search of artisanal textiles and divine cuisine. No matter where you turn, you’ll be met with culture and excitement.